iPhone5C's up for grabs at Best Buy for $50! Washington, Oct. 5 - Electronics retail giant Best Buy is reportedly offering Apple's latest low-cost iPhone5C for even a lower cost of 50 dollars, two weeks following its launch. Best Buy will give customers a 50 dollar gift card that can be applied to the 99.99 dollar phone, cutting the price in half. According to Fox News, the deal will run until October 7 and is applicable just for the low-cost iPhone5C model and not the standard 5S version. London, Oct 11 : Pre-orders of recently launched Apple’s iPhone 4S has topped the previous record of 600000 set by the iPhone 4 last year. 1,000,000 units in just 24 hours. “We are blown away with the incredible customer response to iPhone 4S,” said Philip Schiller, Apple’s senior vice president of Worldwide Product Marketing. American technology giant, Apple might release its latest smartphone, the iPhone 5 in the US on September 5, according to a rumor circulating over the internet. The rumor suggests that the company will release the smarphone in the international market sometime in October. The Italian-language iPhone Italia blog predicted the dates, citing an executive of Swisscom, the Swiss carrier. A Chinese teenager informed her mother that he sold his kidney in roder to get some money to buy a new Apple iPad 2. The 17-year-old apparently decided to take part in the cash-for-kidney exchange after seeing an online advertisement. “I wanted to buy an iPad 2, but I didn't have the money. When I surfed the internet I found an advert posted online by agent saying they were able to pay RMB20,000 to buy a kidney,” said the boy who is identifies only by his surname, "Zheng". South Korean Electronics giant, Samsung Electronics has urged a court to order Apple to disclose the upcoming models of its iPhone smartphone and iPad tablets, arguing it needs the information to defend against complaint that it copies Apple’s products. The document filed May 27 by Suwon, South Korea-based Samsung in San Jose, California, federal court said that Samsung must be given access to the final version of the next-generation iPhone and iPad to “evaluate whether a likelihood of confusion exists” between new products of the two companies. Sony Ericsson Xperia Play – popularly called PlayStation Phone - hits Verizon on May 26! According to reports, the Sony Ericsson Xperia Play – which happens to be the highly-awaited and much-rumored ‘PlayStation Phone’ – will become available via Verizon Wireless beginning May 26. The handset can, however, be pre-ordered from Thursday, May 19 onwards. Apple reportedly is working upon a minor update that deals with the iPhone OS 4.0 mobile platform but apparently this will be delayed for its launch. Apple engineers seemingly are filling up the patches that have been used to jailbreak the existing iOS 4 and launch it with the update. T-Mobile has recently joined the club of iPhone vendors only to become the sixth and last mobile network provider in the UK to release the tariffs for the Apple iPhone 4. According to the reports company is offering the 16GB iPhone 4 for £25 per month with an initial price of £259 and a TCO of £859 over two years. An app designed to woo women comes in the form of Engagement Ring Finder for Apple iPhone. The app Engagement Ring Finder has been developed by Tiffany & Co., and has been invented for female users. Aiming at all unmarried ladies who wish to have a chunk of diamond on that special finger. The Engagement Ring Finder provides real-time information which comes in the form of a ring- sizer, which lets you place an actual ring directly on the screen of your phone and align it with the correct circle in the guide. Through the news site TidBITS, a few truths about the iMovie iPhone app were uncovered by the insiders of Apple. To start with the iMovie app for iPhonewill work only on the iPhone 4, and will not be available for the iPhone 3GS the reason being iPhone 4's A4 processor that aids in smooth handling and creating real-time transitions from the handset. This goes same with the case of iPad that has an A4 processor despite which the app will fail to run due to the iPad's pixel-doubled compatibility mode. Apple has designed its new iPhone to be sweet to its customer and vicious to its rivals, that why it is called Killer iPhone. Most of the customers were very well known about the fourth generation iPhone before its official release on 7th June. The CEO of Apple, Steve Jobs had done various tasks to generate excitement for this product among the customers before it has hit the market. This has been another most awaited product of this year after Apple iPad. According to the recent updates the latest app of iPhone includes a compilation of supermodels. To forbid any wrong indications accounted from the above statement it is essentially a feature that aids in aggregation of all the Twitter accounts of more than 100 "supermodels," including Gisele Bundchen and, err, Tyra Banks. The app is promoted in the most exquisite way that states: "the SEXIEST, MOST BEAUTIFUL women in the world DIRECTLY to your iPhone." Apple’s iPhone 4 will make a mark on June 24th in 5 countries France, US, Germany, UK and Japan and for all the enthusiasts the pre-booking for the iPhone 4 will commence from June 15th. The iPhone 4 is a stainless steel bound cased in a structural integrity with an antenna system. The phone is crafted with glass covering in the front and the back. When compared to iPhone 3GS it is 24% leaner with just 9.33 mm thickness. Apple claims that iPhone 4 is the smallest, most powerful smartphone on the planet. The recently leaked images of the iWork suite on iPhone 4 have taken everyone by surprise. Well there was an iPhone 4 picture which has created a question among all Apple lovers. It is the current hot topic whether iWork suite will be coming to iPhone 4 or not. The image revealed shows three buttons that indicate of the possible work in progress. A closer look of the image reveals that there is a second button which comes in the form of “Open in Keynote” which strongly suggests that the iWork suite may be available with iOS 4.
iPhone 3G to shoot off the stores? After a few days, the world will witness the Worldwide Developer Conference where Apple supposedly will proclaim the new iPhone 4G, which till date has not been officially confirmed yet. As the industry watchers claim, it has become a habit of Apple to launch new iterations of its iPhone at the famed WWDC, at the same time bidding adieu to the previously held models. The much talked about, iPhone 4G's recent snap that has come out shows, the white version of the Apple's upcoming smartphone and throws light on the surmounting heat which Apple apparently is feeling from Android platform. It seems that the leaked snap from Apple. 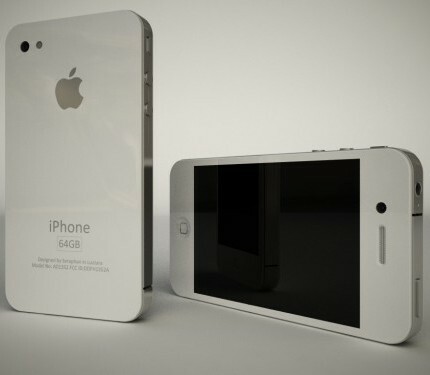 pro site has sited rumours of the possibility that the iPhone 4 could come in white, as it has been done with prior models of smartphones. The sensational story of the week highlights that Apple used its corporate influence to raid in Gizmodo's editor Jason Chen's house. The court documents which were recently unsealed saw Apple's attorney George Riley statement that said if details of the latest iPhone release are disclosed, it may cause a potential damage to the ongoing iPhone sales, as customers would wait for the new model rather than going with an older version. A new patent application for biometric ID system in iPhone has filed by Apple. The technology blog by Unwired View, an online tech magazine confirms a new technology that involves the usage of cardiac sensors, designed to identify users by analyzing the pace at which their hearts beat. This app will be fed in iPhone. The significant progress made in the direction of biometric security has led the experts believe on developing an app that will be able to read the mood of a user by their heart rate, and operate consequently. The latest gaming app for the iPhone seems to be Iron Man 2. The movie yet to be realised worldwide has featured itself in the most popular format of smartphone - the iPhone. Considered to be a resort for numerous applications, with a mixture of gaming, news feeds, social networking based apps etc it launches the new format in gaming app. The developers claim it to be a decent game with lovely graphics, nice controls that will please any frequent gamer. It serves as an ideal past time for all those who really play for fun. According to the court records, U. S. technology giant Apple filed suit against Taiwanese phone maker HTC Tuesday for infringement of 20 iPhone patents. "We can sit by and watch competitors steal our patented inventions, or we can do something about it. We've decided to do something about it," Apple Chief Executive Officer Steve Jobs said in a statement to InformationWeek. "Competition is healthy, but competitors should create their own technology, not steal ours," Jobs further said.